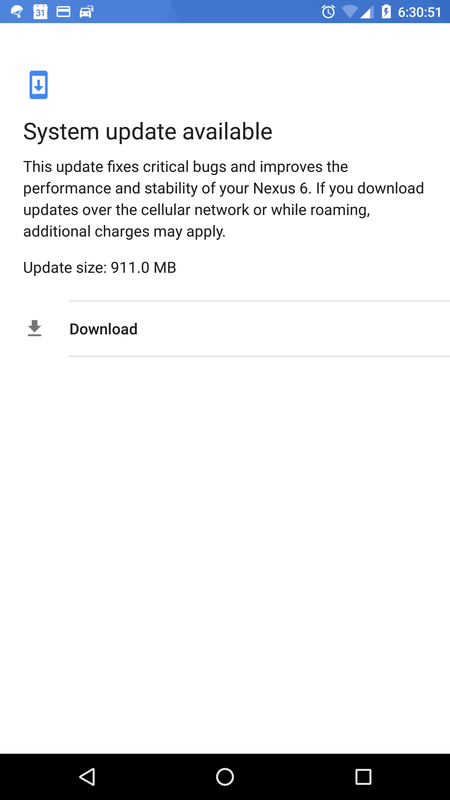 The OTA update description leaves something to be desired. 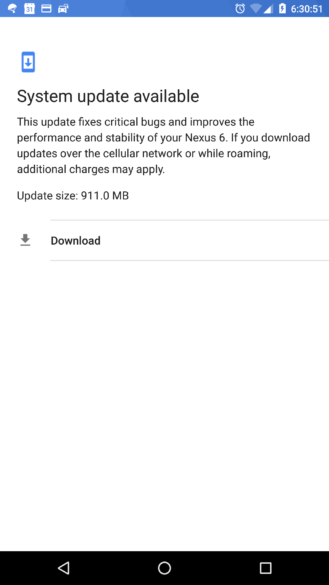 Based on reports, the update first started rolling out around 5 days ago, with a size ranging from 344 MB to 911 MB. Factory and OTA images have also been posted for the new N8I11F build. Those pages imply the build is for T-Mobile, though there are reports that devices are seeing the same update on other carriers. 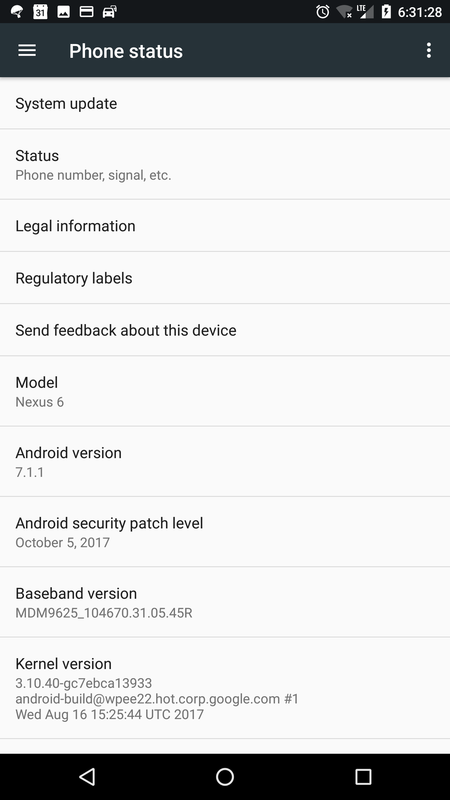 So far, the only change we've noticed in the new build is an update to the baseband version, which has gone from MDM9625_104670.31.05.45R to MDM9625_104670.31.05.51R. It's possible that the update was to fix some carrier requirement or bug associated with T-Mobile, given the carrier note on the builds at the download pages, but that may not be the only explanation. 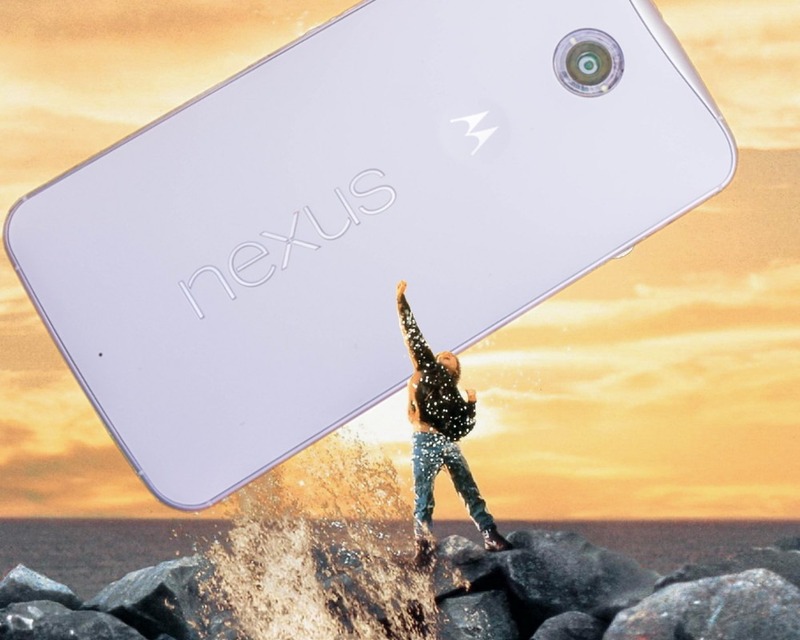 The new update also seems to be triggering an OTA for many Nexus 6 phones on T-Mobile that were previously stuck on Android 7.0 Nougat as a result of Google's update snafu for the phone last year. Whatever the reason behind this latest update, it's very likely the last Shamu may ever see. 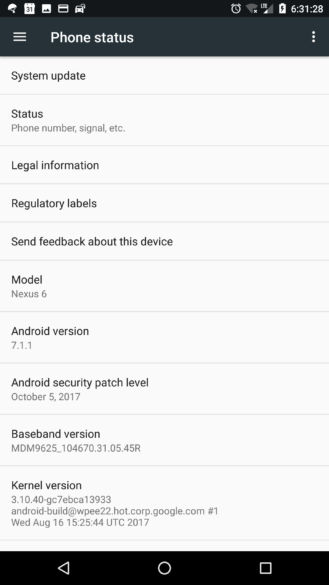 So if you ever want to migrate further than last October's security patches, you may want to consider moving over to a more well-maintained ROM.